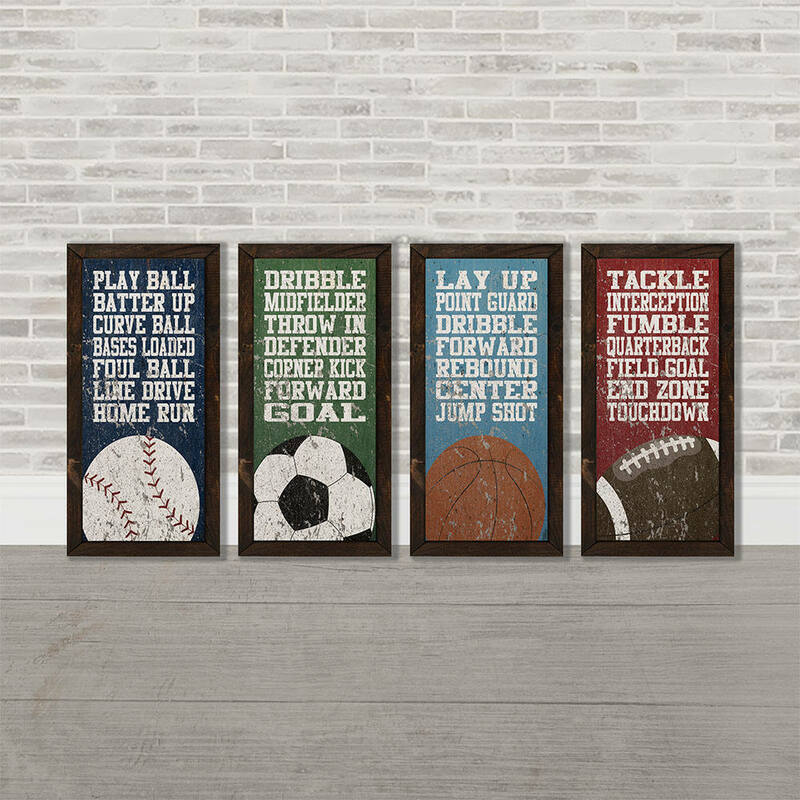 These sports themed prints would be the perfect addition to any little athlete or sports fan in your life! Pictured are a baseball, basketball, soccer, and football print. They each feature words commonly associated with that sport. They have a vintage/rustic/worn effect background. Each print is 12"x24." They are priced and sold as a set of 4 prints. 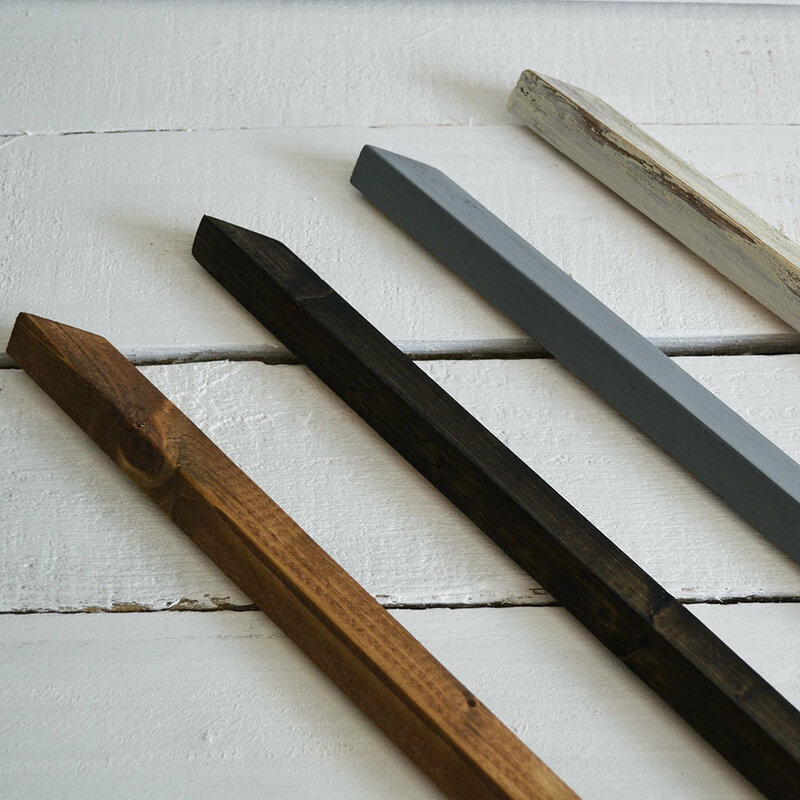 You save $20 by buying them as a set of 4, versus purchasing them as individual pieces! Each piece is printed on canvas using archival inks, and then sealed with a satin finish polyurethane to keep the ink from smudging. They are then glued to a wood backings, and framed in one of our hand made frame options seen in the listing pictures above. Each one has a picture hanger attached to the back for hanging. If you'd like this design printed in colors other than those shown in the listing example, please use the "Request Custom Order" button on our shop page to message us. Thank you!